Is there a sure way to let pressure be felt on your trigger finger throughout the golf swing? As a handyman I have no problem hammering a nail naturally right on the sweet spot with the trigger finger but not in the case of my golf swing. The trigger finger in the golf swing is important in terms of controlling the delivery of the sweetspot to the ball. The transition at the top of the backswing is the area where you should feel the weight of the club shifting to the inside aft of your right index finger. 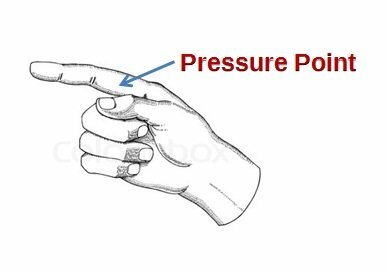 Once this pressure has been set, you will then want to sustain this pressure until impact. You would not want to feel the weight of the trigger finger throughout the entire stroke because doing so would slow your rate of acceleration down and through the ball. To be clear, the pressure is most necessary felt from the start of the downswing to impact. After impact you should no longer be applying pressure as this will cause you to lose distance due to loss of swing speed. If you are looking for an excellent tool that can help you feel the pressure during the startdown of your swing you should look into purchasing the Pure Ball Striker. This training aid is placed on the side of the shaft and then your trigger finger is placed on the side as shown above. The purpose of this training aid is to enhance your feel of the pressure to be applied by your trigger finger. 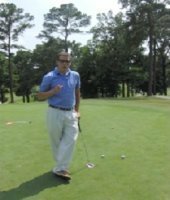 After a few swings using the Pure Ball Striker you will immediately feel the pressure on the trigger finger and begin sustaining the pressure to impact properly. 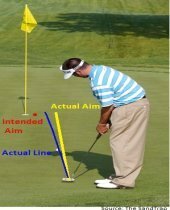 If at any time that you lose the pressure before impact then you will notice it with this training aid. If you would like to learn more about this training aid and how it can benefit you then visit Pure Ball Striker. I hope you find this answer about gaining feel with the trigger finger helpful and if you have any further questions, just comment below. Ken, at the top of the backswing the pressure actually shifts to where it should be resting on the trigger finger knuckle. So, it doesn't actually stay in same spot the entire swing but the area you should emphasize is the downswing. That should help. I practice with your method soon and let the result post and share with all. It is interesting. However, I am sceptical about at the top of the upswing and what grip pressure be like on the right hand especially the triggers finger. I am grategul such aG support is given. Thank you.